Why does the devil hate Jews? We are all reeling from the recent horrible slaughter in a historic synagogue in Pittsburgh. We mourn the dead and pray for the survivors. Such an atrocity against Jewish people is nothing new. Each year one week is set apart in the Jewish calendar as Holocaust Remembrance Week. Yom HaShoah is the annual day for remembering the Holocaust. The horrible tragedy of the six million was not by any means the first time the Jewish people had been slaughtered. There have been many attempts to annihilate the Jewish people throughout history. Passover, Hanukkah and Purim are also Jewish holidays associated with attempts to wipe out the Jewish people and God’s faithfulness to deliver. Yet in spite of centuries of persecution and attempts to wipe out the Jewish people, “Am Israel Chai,” the people of Israel live. But why this hatred and persecution of the Jewish people? Could there be a spiritual dimension? Some have suggested the Jewish people have incurred the wrath of God through rejecting Messiah Jesus. But why have Jewish believers in Jesus also suffered? Why did at least five million Gentiles die in the Holocaust? Why were there 200 pastors in the Dachau concentration camp? Clearly that theory must be completely rejected. God created the Jewish people to be those through whom His revelation to mankind would come. He chose the Jewish people to bring the Messiah to the world. Jesus was—and still is—a Jew. This goes a long way toward understanding the spiritual dimension of anti-Semitism. I suggest an additional answer is to be found in Romans Chapter 11. We are told there that God did not reject the Jewish people—in spite of unbelief and disobedience. Paul tells us this clearly In verses 1-6 and 28-32. A believing remnant remains which follows Messiah, and, even in unbelief, they are still chosen because the “gifts and calling of God are irrevocable.” God’s love and faithfulness toward the people of Israel in unbelief should certainly encourage believers! God had a purpose in the unbelief of Israel. Through their transgression, salvation came to the Gentiles. Non-Jews who believe in the Jewish Messiah have been grafted into the tree of believing Israel. They are connected to the root of the patriarchs and have become spiritual descendants of Abraham. But they are the wild branches and the Jewish people, even in unbelief, are still the natural branches. God has promised that before Jesus returns, many Jewish people will accept Jesus as Messiah. This will be a great boost to the advancement of the gospel. If you were the Devil and wanted to stop the gospel from going forward and Messiah from coming again, what would you do in regard to the Jewish people? First try to wipe them out; failing that, persecute them in Jesus’ name so that they won’t want to hear it mentioned. That is what Satan has done. Herod is a clear example of this strategy: kill Jewish people and prevent Messiah from coming. 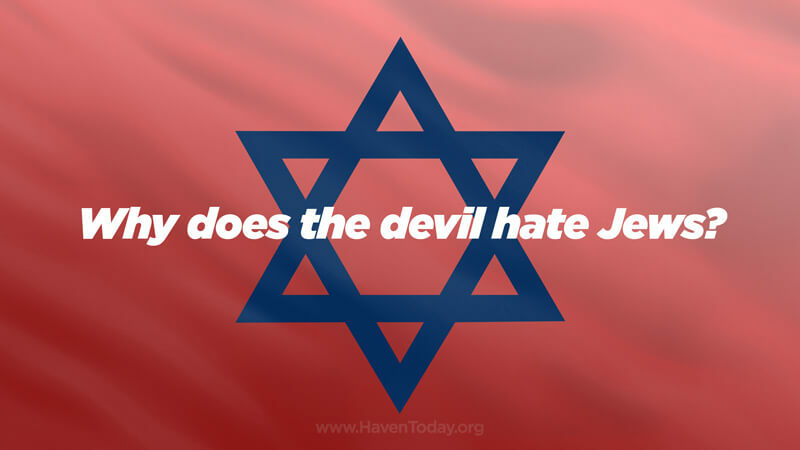 Satan hates both Jews and Christians because he hates Jesus. As believers, we have a moral responsibility to commit ourselves to the survival of the Jewish people and to promote revival among the natural branches, beloved even in unbelief. This article was written by Rev. Fred Klett, Director of the CHAIM ministry and church planter of Rock of Israel PCA, a church in Pennsylvania to Russian Jews who have immigrated to the United States. Find out more at www.chaim.org or www.rockofisrael.com.